Exploratrices | Flickr - Photo Sharing! Out in the big wide world! You've captured a wonderful moment! 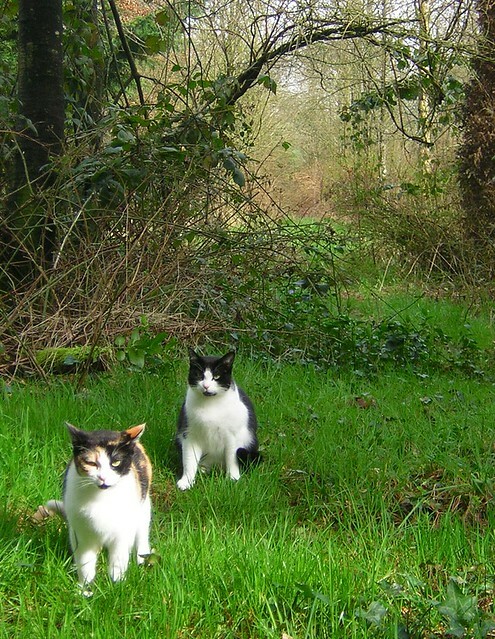 "Capturing Moments & Creating Memories"
Cats on an adventure, great capture. Beautiful cats and I hope they are careful out there. :) Dangerous place outdoors for kitties. Lovely composition. Thank you for sharing your photo in. Is it really been this long since my last visit? Shame on me!